Representatives from the global automotive industry gathered at the the Intelligent Transport Systems (ITS) World Congress in Copenhagen in September. At a “Galileo for Mobility” session, panelists showed off new products and discussed the benefits of GNSS for the deployment of multimodality, new mobility services and digital platforms by transport authorities, industries and users. Their goal: to make safe driverless road transport a reality. Germany’s ANavS GmbH provides position and attitude solutions with centimetre-level accuracy. Fast fixing is achieved by using three GNSS constellations and the company’s patented RTK fixing technology. The system combines multi-GNSS (GPS + GLONASS + Galileo), inertial sensors, vehicle data, visual odometry and feature mapping, as well as LiDAR and radar. Tight coupling of GNSS and all of these other systems ensure reliable positioning even in areas with limited satellite visibility. The system is particularly well suited to autonomous driving applications because of its high accuracy, high availability and continuity, and, with Galileo, its integrity, according to Henkel. 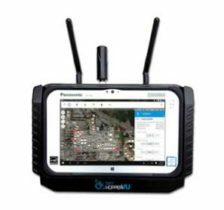 The ANavS module is available in different versions, with one, two or three integrated GNSS receivers, depending on the level of performance required. Testing autonomous driving support. (Photo: Volvo). Swedish truck manufacturer Scania led work on the EU-funded project, Precise and Robust Positioning for Automated Road Transports (PRoPART), demonstrating a high-availability positioning solution for connected automated driving applications. 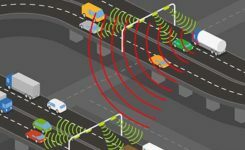 The system implements sensor fusion using information from both the on-board vehicle sensors and an off-board road infrastructure traffic sensor, accounting also for non-automated and non-connected road vehicles. “We are benefiting from the high multipath mitigation enabled by the Galileo binary offset code, and there is a substantial improvement of reliability of the carrier phase ambiguity resolution,” said senior engineer Fredrik Hoxell. “All of this makes Galileo a really good addition to our sensor platform,” he said. The H2020-funded TransSec project coordinated by Daimler AG Trucks targets a solution to the recent rise in vehicle-based terror attacks across Europe, often employing heavy trucks to attack pedestrians. 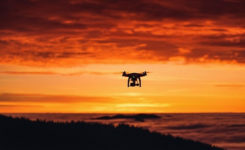 The project team is also concerned with developing new and more effective methods to combat GNSS jamming and spoofing, which represent further threats to security in the context of automated driving technologies. Here, Galileo’s unique authentication feature will play an important role. Japan’s Strategic Innovation Promotion Program, Automated Driving for Universal Services (SIP-adus) conducts several activities previewing the next generation of road transport systems: the human-machine interface in for autonomous and semi-autonomous driving, and the application of automated driving technologies in buses. The goal is precise stopping at bus stops with almost no space between the bus and the curb, to facilitate boarding and exiting for wheelchair users and elderly passengers. A Galileo for Mobility leaflet outlines five pilot European projects using Galileo for road applications. Public transport on demand. Area Metropolitana de Barcelona (AMB) will replace an existing fixed bus line with low demand with a flexible service that adapts bus routes according to the actual demand, improving the service and engaging new users without increasing public expenditure. The Galileo-based technology platform will consist of a mobile app and a system that manages requests, confirmations and cancellations, finds the best routes, and monitors distances travelled and payments. Shared taxis. The pilot aims to alleviate Thessaloniki’s city centre congestion by reducing the number of trips from two eastern suburbs to the city. Ride sharing will be offered to commuters through 20 taxis provided by Taxiway at a flat rate. Service aggregator. The Mobility as a Service (MaaS) app gathers mobility services available in Barcelona, Madrid and other big cities in Spain. It includes public transport, sharing services by motorbikes, bikes and cars, and bike parkings in these cities, improving accuracy and availability in urban areas, enabling a fast and smooth transition between transport modes, and offering the user a door-to-door and seamless multimodal trip experience. Campus shuttle. The pilot will link autonomous electric vehicles to major hubs in a university or hospital campus (location to be determined). Vehicle sharing. The Clem’ project will operate a last-mile transportation service to the community in Plateau de Saclay, an urban campus under development in the suburbs of Paris designed to welcome 85,000 students, workers and inhabitants by 2025. The pilot will include sharing a mixed fleet of 10 geolocated electric cars and 20 electric bikes. This account drew heavily from published reports by the European GNSS Agency (GSA), available in full here.